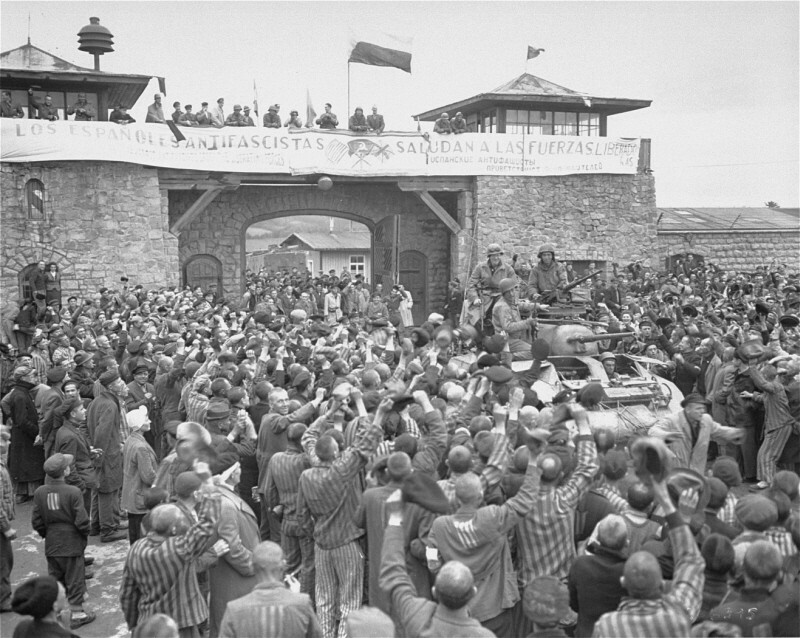 Mauthausen survivors cheer the soldiers of the Eleventh Armored Division of the U.S. Third Army one day after their actual liberation. The banner reads: "The Spanish Anti-Fascists Salute the Liberating Forces." According to Pierre Serge Choumoff, a survivor of Mauthausen and Gusen, this event was recreated at the request of a senior American officer.